When it comes to rugged workforce housing, modified shipping containers are tough to beat. Unlike travel trailers, you can transport container-based workforce housing over bumpy roads for decades with minimal maintenance. 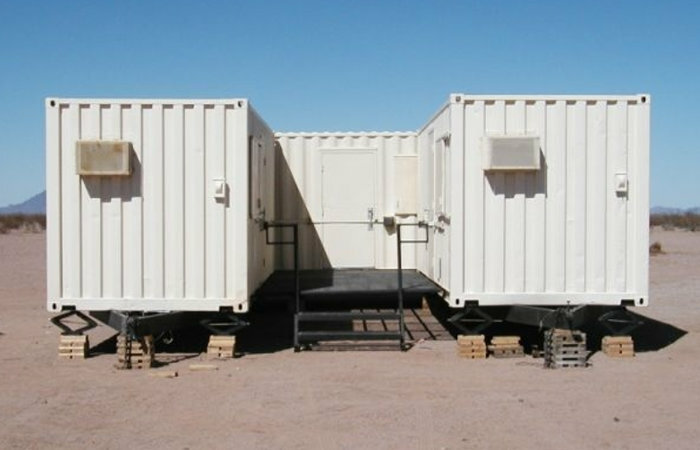 Conex containers are durable enough for the toughest job sites including oil fields and mining camps. 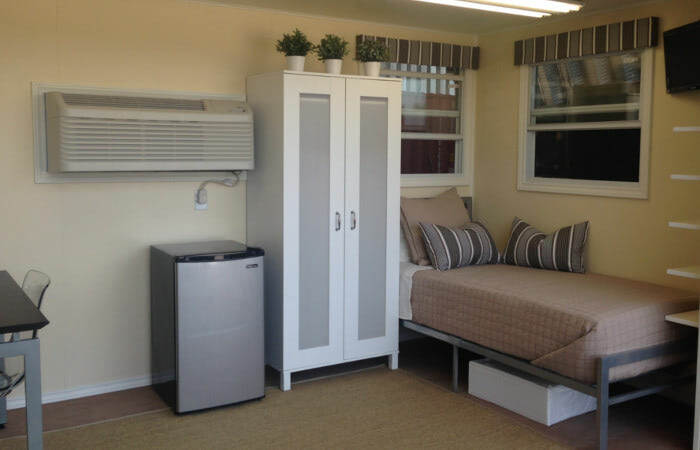 Shipping container man camps have stood up to the Texas heat and the North Dakota cold while offering the convenience of fast electrical and plumbing hook-ups for comfortable living. Save time when you're deploying structures for man camps. Modified shipping containers can be placed on nearly any flat, level, and dry surface -- no foundation necessary. Simply connect the housing unit to utilities and it's ready for use. Your workforce can move into conex housing on the day of delivery. 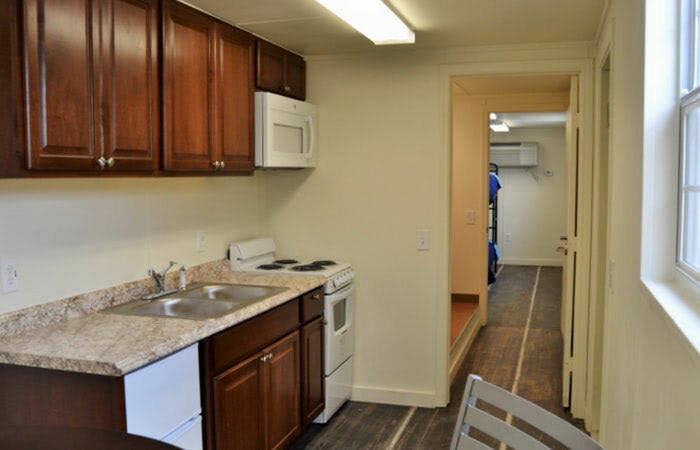 Why choose modified conex containers for your workforce housing needs? Repurposed conex containers were built to withstand the heat, cold, wind, and precipitation that naturally occur on the open seas. Sturdy, steel construction combined with Falcon’s design expertise offer several benefits over traditional modular housing solutions. Durability. Modified shipping containers can be transported over rough roads and hold up for decades. Security. 16-gauge, corrugated steel construction keeps employees and valuables safe. Cost. Reasonable upfront investment plus minimal maintenance costs add up to long-term savings. Convenience. Built for travel, Falcon’s containers are easy to relocate when your jobsite moves. Speed. Turnkey, quick setup, and no need for a special foundation. Options. While many options come standard, we can often customize your container to your requirements. Plumbing for a shower, sink, and toilet. Wiring for telephone and internet. While most businesses choose to relocate workforce housing containers with cranes and flatbed trucks, we can also provide custom chassis for towing if it fits your application. Need a kitchenette, lockers, keypad entry mechanism, or other special feature? Just ask. We’ll work with you to create a custom solution. Thinking about containerized workforce housing for your man camp? Contact us at 877-704-0177 or sales@falconstructures.com.